Vehicle Descriptor Section. 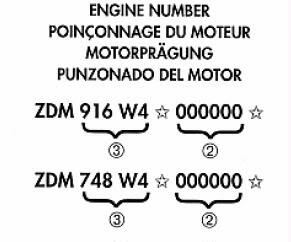 The 4th through 8th positions in the VIN are the Vehicle Descriptor Section or VDS. This is used, according to local regulations, to identify the vehicle type and may include information on the platform used, the model, and the body style. Each manufacturer has a unique system for using this field. The following examples are for US models except where noted. A calculated number that is used to verify the validity of the VIN. A single number or the letter X only. Looking for new fork springs? note: listed NOLOGY, ANDREWS, DYNATEK, VOLT-TECH & Twin Tec are coils with 3 ohms primary resistance (the Dyna DC10-1 are 5 ohms). 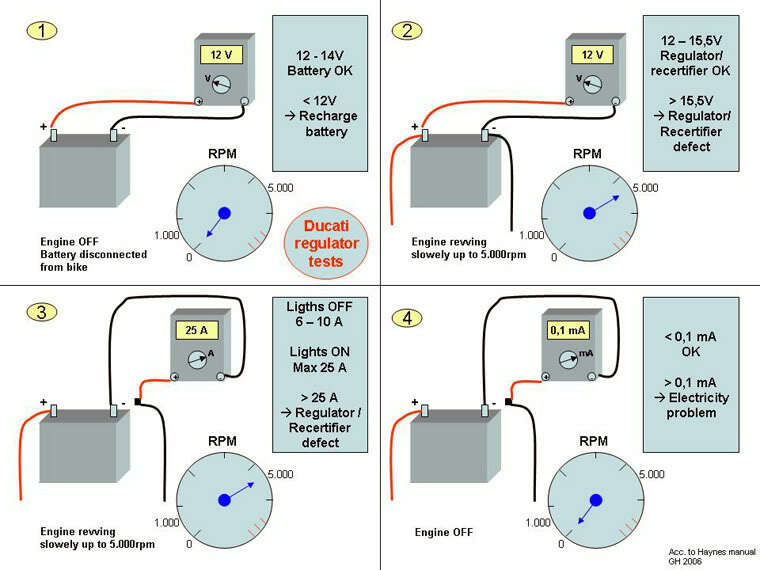 Using coils with lower resistance than 3 ohms can lead to ignition module damage. In case the starter motor is starting to act up never hit it with a hammer ! On the inner side of the starter housing there are magnet plates which can break. Also if the brushes are worn they could fall out of their guide ruining the rotor. The bearing on the power take-off side is a 6002 (verify with your original if it is a RS, 2ZR or other). On the rear there`s a low maintainance slide bearing with the measurements 10mm x 14mm x 10mm (Id x Od x height). The oil seal is a BASL 15-24-6 (or 5, manufacturer Simrit). In case the starter motor turns but you hear strange noises from the engine and the bike won`t start after replacing the brushes it could be the starter was not assembled correctly making it spin in the wrong direction. The noise comes from the starter sprag clutch which is then also running reverse (which can damage it). Looking at the left side of the engine (alternator cover removed) the starter pinion has to turn counterclockwise. This is the same rotating direction the starter sprag clutch will lock. There are marks on the front and end cap of the starter motor as well as on its center body which must align. While there are line marks on the end caps and the front (drive shaft side) of the starter body its rear mark is a square and on the opposite side. The marks of the rear cap have to align with this square. In case you replaced the starter sprag clutch, too you should verify if it`s an incorrectly assembled starter motor or a reversed mounted starter sprag clutch. Public Service Announcement - For future reference, the vibration dampening mounts for the instrument cluster have an M4x.70 thread with each thread section being 3/8" (9.5 mm) long and the rubber section 3/8" (9.5 mm) in diameter and 3/8" (9.5mm) in length. I surfed through McMaster-Carr's catalog and the M4x0.7 with the same sized rubber or neoprene section but 1/2" (12.7 mm) threaded sections are Part #9376K111 and $1.50 each. This means that you can buy this part MUCH cheaper than the OEM, but you will have to cut 1/8" (3.2 mm) off of the threaded section that will go into the instrument cluster so you don't break the housing (it is a blind hole). I hope this helps save someone a few bucks in the future.